Some financial advisers promote their investment service as ‘robust’ because it’s based on the ideas of a particular Nobel Prize-winning economist. Here’s an outline of both sets of ideas. You must decide which one is most useful to you right now. 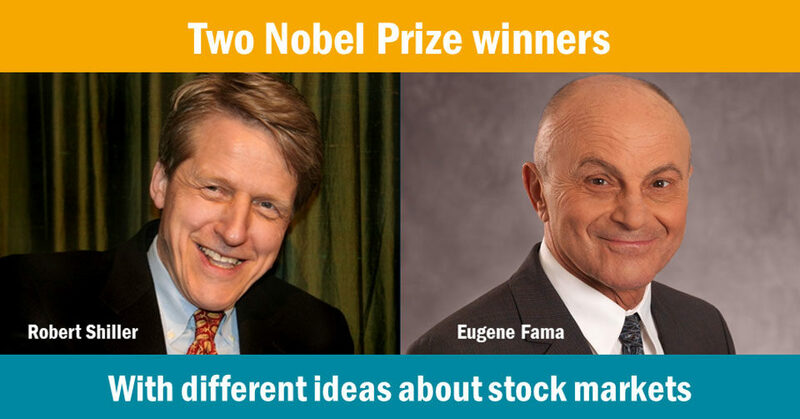 In 2013 there was, for a change, some excitement in the economics profession as the Royal Swedish Academy of Sciences awarded Nobel Memorial Prizes in Economics to two economists, Eugene Fama and Robert Shiller. Their separate studies had been central to the debate about the behaviour of asset markets. So far, so boring you might think, but this was an astonishing decision because these guys’ theories were completely at odds with each other. Sadly, John Kay then pulled his punch in that article, saying, “actually, it is not as bad as that analogy suggests”, and went on to explore the different ideas of the Nobel winners. But what this proved (five years after the 2008 crisis) was that the economics profession was as unclear and confused as ever about how markets for assets work. The Academy might argue their award to Professor Shiller proved that they accept the idea of economies being driven by real humans (rather than those ‘rational robots’ of orthodox theories) and that human behaviour is confused, irrational and, most importantly, herd-like after all. But if this is so, why would they make an award at the same time to Eugene Fama, the father of efficient markets theory? And even more surprising when we note the work of another Nobel prize-winning economist, Joseph Stiglitz, who wrote a paper – with Stanford Grossman in 1980 – entitled ‘On the impossibility of informationally efficient markets’! Their argument – in simple terms – was that we cannot assume everyone to be both rational and irrational at the same time. If market participants acted rationally (at least on average) in buying and selling securities, then this activity might deliver correct (fair) prices. But then again, if markets were perfectly priced at all times, it would be ‘irrational’ for any active manager to spend effort and money seeking out the imperfections in it. So, markets can only be efficient pricing mechanisms for securities to the extent that we have enough active managers ignoring the efficient markets theory and getting on with the work of analysing which securities are the best value to buy! 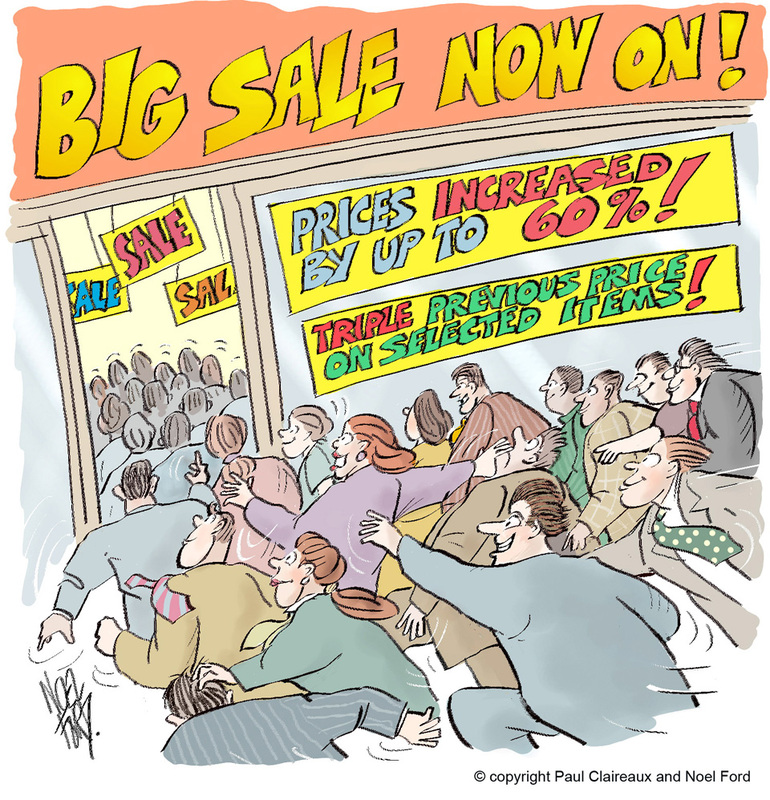 To use a classic ‘supermarket queues’ analogy – if we all assumed that the queues system was perfect, then we’d all stand quietly and obediently in our queues, refusing to take advantage of any empty checkouts that become available. And that happens to be very British, but quite dumb, behaviour by the way! A brilliant summary of the different ideas from these two Nobel winners was provided by Gavyn Davies (a widely respected economist) in the Financial Times (20 October 2013). Davies reminded us that in the Fama explanation, investors are supposed to be pessimistic about future returns when prices are high, and optimistic when prices are low. Well, according to Fama, most of the variation in asset prices is determined by changes in risk appetite. When our risk appetite is high, we accept high asset prices because we accept a low expected rate of return to compensate for our risk. Likewise when our risk appetite is low, we let asset prices fall until their expected returns are high. Shiller, on the other hand – perhaps more in line with our experience – expects investors to be optimistic (bullish) at the top of the market and pessimistic at the bottom. Surely both experts can’t be right? Well, I’m really sorry if these contradictions from experts mess with your mind but the truth is that they both have a case. Fama’s point is logical enough – for people who are informed about markets and who operate logically (as orthodox economics assumes). Think about it – if you have a big appetite for risk then you will buy risky assets at higher prices, despite their prospective returns being lower than they would be if you bought at a low point. You’re accepting risks for a lower return – that’s what having more appetite for risk is about. But then Shiller makes the point that ‘real’ people don’t ‘compute things’ that way. We go into risky assets at high points with a naïve hope for a continuation of those high returns. And there’s empirical evidence for Shiller’s view – in research by Robin Greenwood and Andrei Shleifer at Harvard (‘Expectations of returns and expected returns’, January 2013) – showing that investor expectations are indeed highly positively correlated with past stock returns and with the level of the stock market. 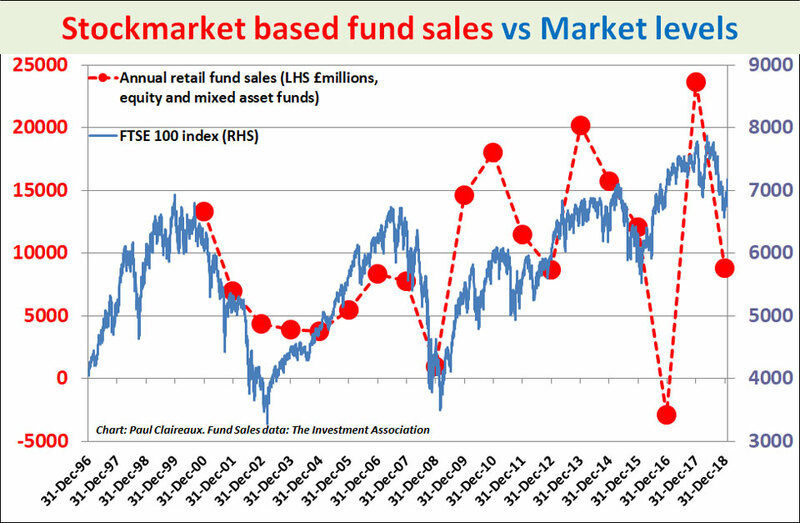 So, we just love to buy in at the top of stock-market price cycles. Well, I’d hope that we can agree that it’s beyond most ordinary investors’ abilities (including mine) to create a portfolio of stocks that has a good chance of outperforming the wider market without being exposed to serious risks. … then that’s probably very helpful for most savers and investors. However, I’d hope we can also agree that it’s positively dangerous to conclude – as those ‘perfect markets’ advisers do – that the aggregate level of the stock market is correctly priced to offer good prospects for returns at all times. This would seem to be an especially risky view to take at times when prices for so-called ‘risk-free’ assets (like government bonds) are completely distorted (propped up) by central bank money creation – as they have been since the financial crisis of 2008-09! Stiglitz and Grossman noted that completely efficient markets were logically impossible. This is why the second part of my original book, ‘Who can you trust about money?’ was devoted to the psychological issues that surround our money management activities. But what about the wisdom of crowds? 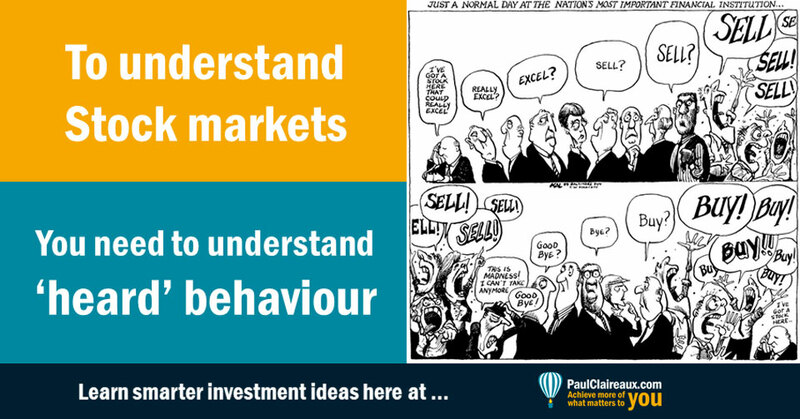 You’ll certainly here some argue that occasional irrational behaviours of market participants don’t matter …. because they’re random in direction and therefore cancel each other out. They’ll argue that it’s the average ‘wisdom of crowds’ that we should be concerned about, and that in large groups we are rational on average. However, the ‘wisdom of crowds’ idea has problems of its own. Research by Jan Lorenz, Heiko Rauhut and others, outlined in their article ‘How social influence can undermine the wisdom of crowd effect’, shows that a crowd view often produces very large errors – and especially in settings that are heavily influenced by social networking and knowledge of other people’s views and behaviours. Yes, and such a setting sounds to me just like Wall Street or the City of London! What is absolutely clear about markets is that an unquestioning trust in them is extremely dangerous. The whole world economy was brought to its knees by the belief that US house prices were fairly priced (and so couldn’t fall by much) when in fact they were in an almighty and obvious bubble in 2004-5, as pointed out by Robert Shiller amongst many others. Whatever any adviser tells us, the truth is that markets do not deliver nice, neat, average rates of return (even over the long term) regardless of when we invest. The concept of ‘average’ returns is meaningless – as are those standard deviations of risk. Markets (in stocks and houses) have very long cycles in which valuations shift from high to low and back again. If you invest at a time of low valuation, then you have a better chance of enjoying high returns subsequently. And if you invest at a time of high valuation, then your subsequent returns are likely to be disappointing and very possibly negative. So, be careful when a wealth manager says their advice is based on Nobel Prize winning science. Sadly, there’s more than one Nobel Prize theory in use around investment advice. And, unlike proper sciences, economics ideas can seldom be proven and often conflict with each other! … around money and personal performance, in an occasional newsletter, sign up here.